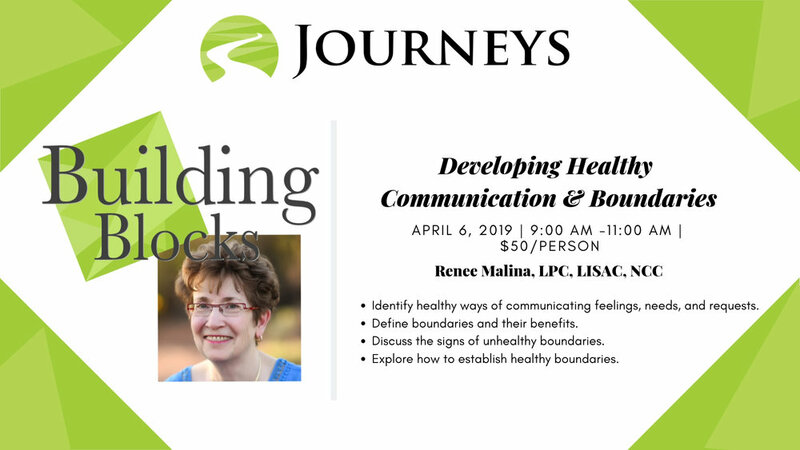 Join Renee Malina, LPC, LISAC, NCC, as she teaches about boundaries in healthy relationships! Identify healthy ways of communicating feelings, needs, and requests. Define boundaries and their benefits. Discuss the signs of unhealthy boundaries. Explore how to establish healthy boundaries.